mme moe is based on the habits of highly effective practitioners. There's a mme moe T-TESS app for teachers; a T-PESS version for principals, and even an optional version for superintendents. mme moe enables your entire district community to model reflective practice and professional learning from day to day in small steps. mme moe helps you reflect on your energy and emotionality for teaching. 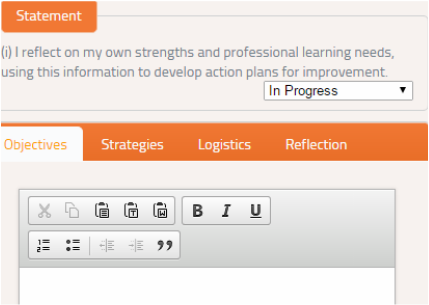 It builds a comprehensive picture of your T-TESS (and T-PESS) competencies and professional learning priorities. With mme moe, professional development and evaluation is no longer an event, it becomes a workstyle. mme moe was developed by leading educators and a high-performance coach to connect teachers and educators in collegial professional learning communities aligned to the T-TESS and T-PESS standards and process. If your district is about to move to T-TESS and/or T-PESS or has already begun, contact us below to set up a strategy consultation to ensure the transition enhances the collegial and professional culture of your school communites. 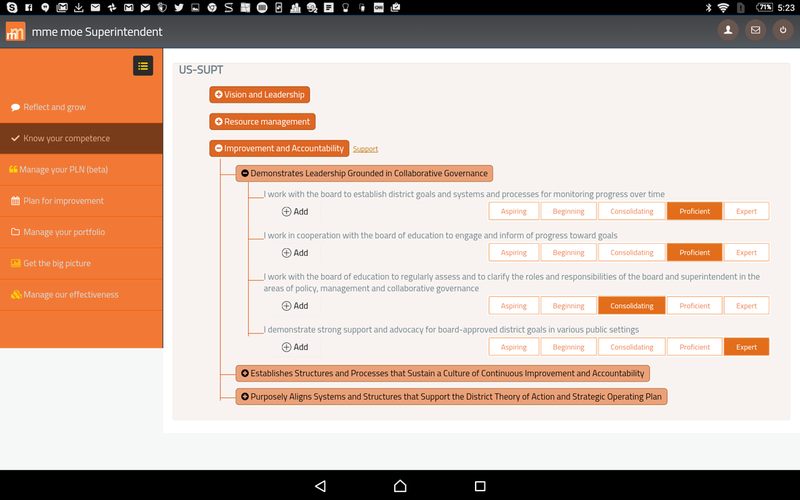 mme moe is more than an app, it reflects the solid research base driving TEA's T-TESS/T-PESS initiative. Contact us below and one of our T-TESS education experts will visit and discuss your situation and requirements. Are you wondering how to get your hands on mme moe? You won't find mme moe in an app store, To get mme moe, send us a request through the form below. We will be in touch straight away to discuss options to set up your entire faculty, school or district with your own custom mme moe. In this way, your mme moe will be for your local professional community. You'll be amazed. It costs much less than a training day and pays for itself in no time. ﻿mme moe (pronounced memo) is the T-TESS and T-PESS app for teachers and administrators. The elimination of paperwork and easy management of T-TESS evidence and evaluations are just the beginning of mme moe's benefits. Aligned to T-TESS, mme moe turns reflective practice, self-assessment an planning for improvement into professional habits, building collegiality and connecting teachers with the resources and strategies they need. The T-TESS analytics, evidence and peer engagement generated through mme moe are unrivalled. The 'mme' in mme moe is all about the teacher, the practitioner. The 'moe' part is all about your school and district. The way the 'mme' and 'moe' combine in the mme moe app is perfect for T-TESS. 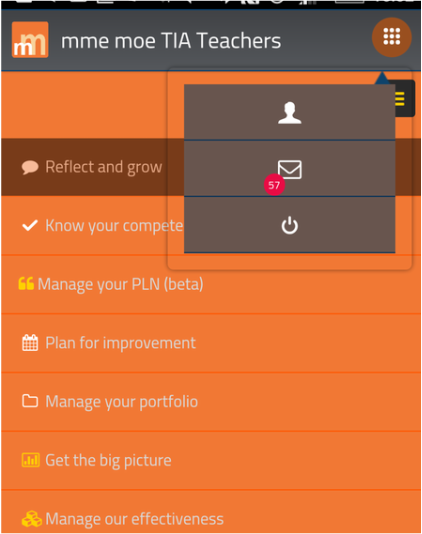 mme moe is more than an app or doocument management system, it is a proven platform for professional improvement through a growth mindset. mme moe's team of accomplished educators is available to discuss your school or district needs. District workshop and course options are available on request to accompany the app. mme moe was the T-TESS feature of #TIA16 at Denton ISD. Tim Regal, Director of Educator Evaluation and Support at TEA, outlines the T-TESS approach of teacher reflective practice, self-assessment and professional learning in collegial settings. As you self-assess, maintain a T-TESS professional journal, gathering evidence and feedback, mme moe enables you to plan your professional learning, tapping into local and external resources aligned to each T-TESS statement. mme moe delivers real-time analytics and access to your mentor, supervisor and/or PLN (Professional Learning Network). mme moe fits in your hand, in your pocket on virtually any device. mme moe's logic is simple, refreshing and profound - made for T-TESS, not a "gotcha" system. Professional learning needs to be supported by targeted, bite-sized learning resources that you can access when and where you want in a way that supports your learning needs today. mme moe provides exactly this access. Professional learning is meant to be a team exercise. mme moe enables each teacher (and leader) to join with their mentor, supervisor and other supportive colleagues to engage in professional learning. Teachers and school and district communities benefit from the professional network mme moe enables. mme moe develops a professional learning plan for each teacher, principal and superintendent. Teachers can share their plans and obtain feedback, accessing resources. mme moe is based on the premise that we are all in this together, and so mme moe is not just for teachers and principals. Superintendents also work to professional standards. mme moe supports each superintendent as they self-assess against their leadership standards framework and develop plans for improvement. mme moe connects superintendents with mentors and resources, providing them the opportunity to model professional learning to their principals and teachers. Would you like to find out more about mme moe for your school, district or ESC? The mme moe team would love to hear from you. Contact info@mme-moe.com or call us on 202.697.9106 set up a mme moe demo and discussion. If you prefer, submit a request for contact on the right and we will be in touch.